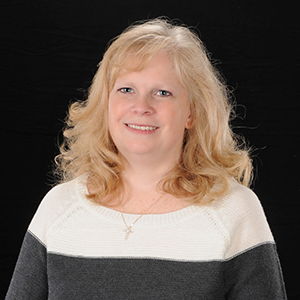 Ann was born and raised in York, Pennsylvania. In 1992, she received a Bachelor’s degree from Penn State University and she and her husband, John, moved west. After a few years in the banking industry, Ann decided to be a stay at home mom to their 3 children. She volunteered weekly in their classrooms and was Treasurer of the PTA. Ann enjoyed working with kids and was hired to assist in other overcrowded classes. The Kennedys joined Cross of Christ in 2009 and Ann turned her talents to the church’s PreK-K Sunday School class. She also helped in the office as an afternoon receptionist. Her love of crafts became evident and her role grew to include planning preschool crafts and decorating bulletin boards. Ann has really enjoyed moving into the classroom full-time and loves working with Carrie and the Preschoolers!